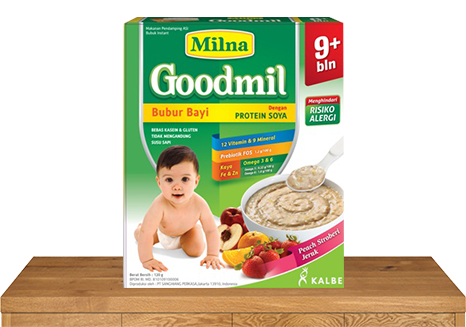 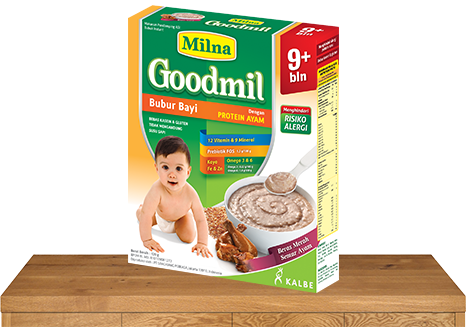 Baby porridge as complementary feeding for ages 9 months and above with complete nutrition from natural ingredients (pure chicken protein/ soya protein) and free from Casein (milk protein) & Gluten (wheat protein) to prevent allergic risks (because children aged below 1 year have an imperfect immune and digestive system) for a more optimal development. 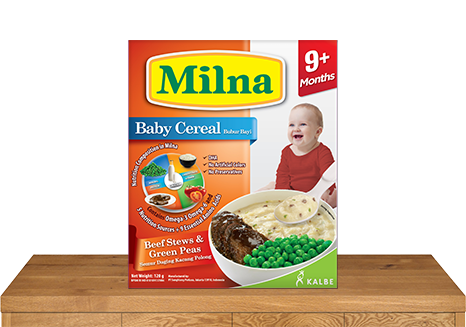 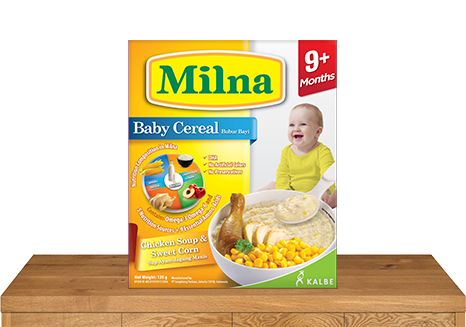 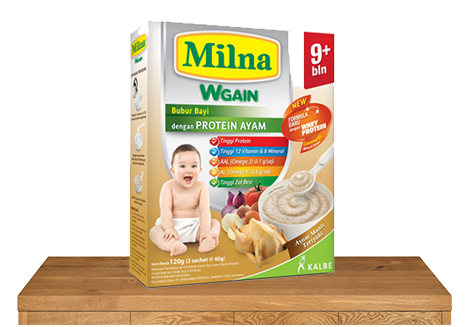 Baby porridge as complementary feeding for ages 9 months and above which is clinically proven to increase baby weight when consumed routinely 2x a day, with extra energy and high protein from essential amino acids (Special Protein) needed by the body for a more optimal growth. 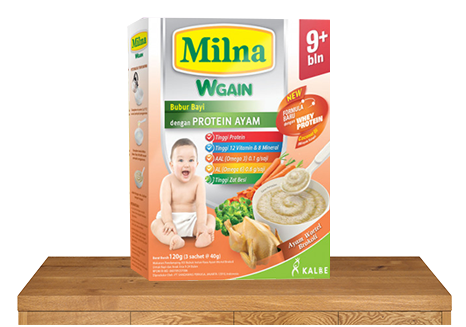 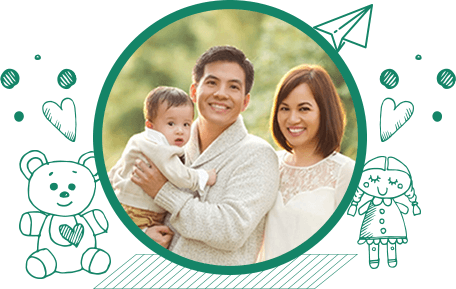 As complementary feeding for ages 9 months and older.